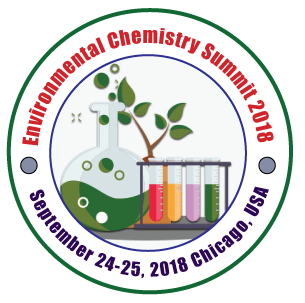 Conference Series LLC LTD welcomes you to attend 36th International Conference on Environmental Chemistry & Water Resource Management that is going to be held on September 24-25, 2018 in Chicago, USA. It will be addressing eminent personalities, plenary speakers, scientists, industry persons from around the world who will be hosting the whole event and will be delivering keynote speeches, panel discussions and debates are going to be held. It will be a benchmark in the field of Environmental chemistry where every researcher, scientist, professors, deans, will be approaching with innovative ideas to improve the field of Environmental chemistry and Environmental sciences. We help you to connect the dots that matter to you. The world appears increasingly complex and to seize the opportunities ahead we need to be better at looking at the world from a wider array of perspectives’. To discuss and relate the issues and achievements in the field of Environmental chemistry, Conference Series LLC LTD Conferences has taken the initiative to gather the world class experts both from academic and industry background in a common platform at its Chemistry conferences. At our conference venue, there will also be oral/poster presentations by professors/ Asst.professors/research scholars and key notes presentations by key note speakers. Presentations will be peer-reviewed and awarded, also work will be published in respective supporting journals. It will be a knowledge exchange from various eminent speakers and research scholars. It will address to the current scenario of Environmentalresearch which will help a research person continue his further research and achieve future endeavors. · Environmental chemistry Students, Scientists. 3rd International Convention on Geochemistry and Environmental Chemistry October 19-20, 2018 Ottawa, Ontario, Canada; International Conference on Environmental Microbial Biofilms and Human Microbiomes October 18-19, 2018 Dubai, UAE; 5th World Congress on Green Chemistry and Green Engineering July 19-20, 2018 Melbourne, Australia; 5th World Congress and Expo on Green Energy June 14-16, 2018 London, UK; 7th World Convention on Waste Recycling and Reuse May 16-17, 2018 Tokyo, Japan; 20th International Conference on Environmental Chemistry, May 17-18, 2018, Paris, France; 8th IUPAC International Conference on Green Chemistry, September 9-14, 2018, Bangkok, Thailand; 23rd Annual Green Chemistry & Engineering Conference, June 11-13, 2018, Reston, Virginia, USA; Chemistry Conference for Young Scientists, February 21-23, 2018, Belgium, Europe; Green Chemistry - Gordon Research Conference, July 29-August 03, 2018, Castelldefels, Spain, Europe; Societies: Environmental and Energy Study Institute (EESI); Environmental Life Force (ELF); Environmental Design Research Association (EDRA); National Council for Science and the Environment (NCSE); National Parks Conservation Association (NPCA). 4th Global Summit on Plant Science & Environmental Biotechnology June 27-28, 2018 Vancouver, Canada; 17th International Conference on Industrial Chemistry and Water Treatment May 21-22, 2018 New York, USA; 9th World Congress on Green Chemistry and Technology September 17-19, 2018 Amsterdam, Netherlands; 8th International Conference on Environmental Chemistry and Engineering September 20-22, 2018 Berlin, Germany; 7th World Convention on Waste Recycling and Reuse May 16-17, 2018 Tokyo, Japan; 20th International Conference on Environmental Chemistry, May 17-18, 2018, Paris, France; 23rd Annual Green Chemistry & Engineering Conference, June 11-13, 2018, Reston, Virginia, USA; 8th IUPAC International Conference on Green Chemistry, September 9-14, 2018, Bangkok, Thailand; Chemistry Conference for Young Scientists, February 21-23, 2018, Belgium, Europe; Green Chemistry - Gordon Research Conference, July 29-August 03, 2018, Castelldefels, Spain, Europe; Societies: West Harlem Environmental Action (WEACT); National Parks Conservation Association (NPCA); National Council for Science and the Environment (NCSE); Environmental Design Research Association (EDRA); Environmental Life Force (ELF). Environmental biotechnology is used to study the natural environment. Environmental biotechnology could also imply that one tries to harness biological process for commercial uses and exploitation. Molecular biotechnology is the use of laboratory techniques to study and modify nucleic acids and proteins for applications in areas such as human and animal health, agriculture, and the environment. Molecular biotechnology results from the convergence of many areas of research, such as molecular biology, microbiology, biochemistry, immunology, genetics, and cell biology. 9th World Congress on Green Chemistry and Technology September 17-19, 2018 Amsterdam, Netherlands; 8th International Conference on Environmental Chemistry and Engineering September 20-22, 2018 Berlin, Germany; 7th World Convention on Waste Recycling and Reuse May 16-17, 2018 Tokyo, Japan; 5th World Congress and Expo on Green Energy June 14-16, 2018 London, UK; 5th World Congress on Green Chemistry and Green Engineering July 19-20, 2018 Melbourne, Australia; Green Chemistry - Gordon Research Conference, July 29-August 03, 2018, Castelldefels, Spain, Europe; Chemistry Conference for Young Scientists, February 21-23, 2018, Belgium, Europe; 8th IUPAC International Conference on Green Chemistry, September 9-14, 2018, Bangkok, Thailand; 23rd Annual Green Chemistry & Engineering Conference, June 11-13, 2018, Reston, Virginia, USA; 20th International Conference on Environmental Chemistry, May 17-18, 2018, Paris, France; Societies: Environmental Life Force (ELF); National Council for Science and the Environment (NCSE); West Harlem Environmental Action (WEACT); Environmental and Energy Study Institute (EESI); Environmental Design Research Association (EDRA). 5th World Congress on Green Chemistry and Green Engineering July 19-20, 2018 Melbourne, Australia; 5th World Congress and Expo on Green Energy June 14-16, 2018 London, UK; 7th World Convention on Waste Recycling and Reuse May 16-17, 2018 Tokyo, Japan; 8th International Conference on Environmental Chemistry and Engineering September 20-22, 2018 Berlin, Germany; 9th World Congress on Green Chemistry and Technology September 17-19, 2018 Amsterdam, Netherlands; 20th International Conference on Environmental Chemistry, May 17-18, 2018, Paris, France; 8th IUPAC International Conference on Green Chemistry, September 9-14, 2018, Bangkok, Thailand; 23rd Annual Green Chemistry & Engineering Conference, June 11-13, 2018, Reston, Virginia, USA; Chemistry Conference for Young Scientists, February 21-23, 2018, Belgium, Europe; Green Chemistry - Gordon Research Conference, July 29-August 03, 2018, Castelldefels, Spain, Europe; Societies: National Parks Conservation Association (NPCA); National Council for Science and the Environment (NCSE); Environmental and Energy Study Institute (EESI); West Harlem Environmental Action (WEACT); Environmental Life Force (ELF). 4th Global Summit on Plant Science & Environmental Biotechnology June 27-28, 2018 Vancouver, Canada; 3rd International Convention on Geochemistry and Environmental Chemistry October 19-20, 2018 Ottawa, Ontario, Canada; 17th International Conference on Industrial Chemistry and Water Treatment May 21-22, 2018 New York, USA; International Conference on Environmental Microbial Biofilms and Human Microbiomes October 18-19, 2018 Dubai, UAE; 7th World Convention on Waste Recycling and Reuse May 16-17, 2018 Tokyo, Japan; Societies: Green Chemistry - Gordon Research Conference, July 29-August 03, 2018, Castelldefels, Spain, Europe; Chemistry Conference for Young Scientists, February 21-23, 2018, Belgium, Europe; 8th IUPAC International Conference on Green Chemistry, September 9-14, 2018, Bangkok, Thailand; 23rd Annual Green Chemistry & Engineering Conference, June 11-13, 2018, Reston, Virginia, USA; 20th International Conference on Environmental Chemistry, May 17-18, 2018, Paris, France; Environmental Design Research Association (EDRA); National Parks Conservation Association (NPCA); National Council for Science and the Environment (NCSE); Environmental and Energy Study Institute (EESI); West Harlem Environmental Action (WEACT). 7th World Convention on Waste Recycling and Reuse May 16-17, 2018 Tokyo, Japan; 4th Global Summit on Plant Science & Environmental Biotechnology June 27-28, 2018 Vancouver, Canada; 3rd International Convention on Geochemistry and Environmental Chemistry October 19-20, 2018 Ottawa, Ontario, Canada; 5th World Congress and Expo on Green Energy June 14-16, 2018 London, UK; 8th International Conference on Environmental Chemistry and Engineering September 20-22, 2018 Berlin, Germany; 20th International Conference on Environmental Chemistry, May 17-18, 2018, Paris, France; 23rd Annual Green Chemistry & Engineering Conference, June 11-13, 2018, Reston, Virginia, USA; 8th IUPAC International Conference on Green Chemistry, September 9-14, 2018, Bangkok, Thailand; Chemistry Conference for Young Scientists, February 21-23, 2018, Belgium, Europe; Green Chemistry - Gordon Research Conference, July 29-August 03, 2018, Castelldefels, Spain, Europe; Societies: West Harlem Environmental Action (WEACT); National Council for Science and the Environment (NCSE); Environmental Life Force (ELF); National Parks Conservation Association (NPCA); Environmental Design Research Association (EDRA). 17th International Conference on Industrial Chemistry and Water Treatment May 21-22, 2018 New York, USA; 8th International Conference on Environmental Chemistry and Engineering September 20-22, 2018 Berlin, Germany; 5th World Congress and Expo on Green Energy June 14-16, 2018 London, UK; International Conference on Environmental Microbial Biofilms and Human Microbiomes October 18-19, 2018 Dubai, UAE; 4th Global Summit on Plant Science & Environmental Biotechnology June 27-28, 2018 Vancouver, Canada; 20th International Conference on Environmental Chemistry, May 17-18, 2018, Paris, France; 8th IUPAC International Conference on Green Chemistry, September 9-14, 2018, Bangkok, Thailand; 23rd Annual Green Chemistry & Engineering Conference, June 11-13, 2018, Reston, Virginia, USA; Chemistry Conference for Young Scientists, February 21-23, 2018, Belgium, Europe; Green Chemistry - Gordon Research Conference, July 29-August 03, 2018, Castelldefels, Spain, Europe; Societies: Environmental and Energy Study Institute (EESI); Environmental Design Research Association (EDRA); West Harlem Environmental Action (WEACT); Environmental Life Force (ELF); National Council for Science and the Environment (NCSE). 3rd International Convention on Geochemistry and Environmental Chemistry October 19-20, 2018 Ottawa, Ontario, Canada; 17th International Conference on Industrial Chemistry and Water Treatment May 21-22, 2018 New York, USA; 7th World Convention on Waste Recycling and Reuse May 16-17, 2018 Tokyo, Japan; 5th World Congress on Green Chemistry and Green Engineering July 19-20, 2018 Melbourne, Australia; 9th World Congress on Green Chemistry and Technology September 17-19, 2018 Amsterdam, Netherlands; Green Chemistry - Gordon Research Conference, July 29-August 03, 2018, Castelldefels, Spain, Europe; Chemistry Conference for Young Scientists, February 21-23, 2018, Belgium, Europe; 8th IUPAC International Conference on Green Chemistry, September 9-14, 2018, Bangkok, Thailand; 23rd Annual Green Chemistry & Engineering Conference, June 11-13, 2018, Reston, Virginia, USA; 20th International Conference on Environmental Chemistry, May 17-18, 2018, Paris, France; Societies: National Parks Conservation Association (NPCA); West Harlem Environmental Action (WEACT); Environmental Design Research Association (EDRA); National Council for Science and the Environment (NCSE); Environmental and Energy Study Institute (EESI). Flood studies provide information about flood behavior and risk, quantify the impact of proposed developments, and inform floodplain planning and water quality studies. Flood hazard can vary significantly across small distances and over time. HD modeling simulates losses from the ground-level up so you can better manage uncertainty and model complex financial terms, such as hour’s clauses. 4th Global Summit on Plant Science & Environmental Biotechnology June 27-28, 2018 Vancouver, Canada; 9th World Congress on Green Chemistry and Technology September 17-19, 2018 Amsterdam, Netherlands; 7th World Convention on Waste Recycling and Reuse May 16-17, 2018 Tokyo, Japan; 5th World Congress on Green Chemistry and Green Engineering July 19-20, 2018 Melbourne, Australia; 3rd International Convention on Geochemistry and Environmental Chemistry October 19-20, 2018 Ottawa, Ontario, Canada; 20th International Conference on Environmental Chemistry, May 17-18, 2018, Paris, France; 23rd Annual Green Chemistry & Engineering Conference, June 11-13, 2018, Reston, Virginia, USA; 8th IUPAC International Conference on Green Chemistry, September 9-14, 2018, Bangkok, Thailand; Chemistry Conference for Young Scientists, February 21-23, 2018, Belgium, Europe; Green Chemistry - Gordon Research Conference, July 29-August 03, 2018, Castelldefels, Spain, Europe; Societies: National Council for Science and the Environment (NCSE); Environmental Life Force (ELF); West Harlem Environmental Action (WEACT); Environmental and Energy Study Institute (EESI); Environmental Design Research Association (EDRA). Geobiology is a field of scientific research that explores the interactions between the physical Earth and the biosphere. It is a relatively young field, and its borders are fluid. There is considerable overlap with the fields of ecology, evolutionary biology, microbiology, paleontology, and particularly biogeochemistry. Geobiology applies the principles and methods of biology and geology to the study of the ancient history of the co-evolution of life and Earth as well as the role of life in the modern world. Geobiology studies tend to be focused on microorganisms, and on the role, that life plays in altering the chemical and physical environment of the lithosphere, atmosphere, hydrosphere and/or cryosphere. It differs from biogeochemistry in that the focus is on processes and organisms over space and time rather than on global chemical cycles. International Conference on Environmental Microbial Biofilms and Human Microbiomes October 18-19, 2018 Dubai, UAE; 5th World Congress and Expo on Green Energy June 14-16, 2018 London, UK; 8th International Conference on Environmental Chemistry and Engineering September 20-22, 2018 Berlin, Germany; 17th International Conference on Industrial Chemistry and Water Treatment May 21-22, 2018 New York, USA; 4th Global Summit on Plant Science & Environmental Biotechnology June 27-28, 2018 Vancouver, Canada; 20th International Conference on Environmental Chemistry, May 17-18, 2018, Paris, France; 8th IUPAC International Conference on Green Chemistry, September 9-14, 2018, Bangkok, Thailand; 23rd Annual Green Chemistry & Engineering Conference, June 11-13, 2018, Reston, Virginia, USA; Chemistry Conference for Young Scientists, February 21-23, 2018, Belgium, Europe; Green Chemistry - Gordon Research Conference, July 29-August 03, 2018, Castelldefels, Spain, Europe; Societies: Environmental and Energy Study Institute (EESI); Environmental Life Force (ELF); Environmental Design Research Association (EDRA); West Harlem Environmental Action (WEACT); National Parks Conservation Association (NPCA). Precipitation is expected to vary considerably from region to region. Change in climate (changes in frequency and intensity of extreme weather events) is likely to have major impacts on natural and human systems. With respect to hydrology, climate change can cause significant impacts on water resource by resulting changes in the hydrological cycle. For instance, the changes in temperature and precipitation can have a direct consequence on evapotranspiration and on both quality and quantity of the runoff components of the water balance. 4th Global Summit on Plant Science & Environmental Biotechnology June 27-28, 2018 Vancouver, Canada; 9th World Congress on Green Chemistry and Technology September 17-19, 2018 Amsterdam, Netherlands; 7th World Convention on Waste Recycling and Reuse May 16-17, 2018 Tokyo, Japan; 5th World Congress on Green Chemistry and Green Engineering July 19-20, 2018 Melbourne, Australia; 3rd International Convention on Geochemistry and Environmental Chemistry October 19-20, 2018 Ottawa, Ontario, Canada; Green Chemistry - Gordon Research Conference, July 29-August 03, 2018, Castelldefels, Spain, Europe; Chemistry Conference for Young Scientists, February 21-23, 2018, Belgium, Europe; 8th IUPAC International Conference on Green Chemistry, September 9-14, 2018, Bangkok, Thailand; 23rd Annual Green Chemistry & Engineering Conference, June 11-13, 2018, Reston, Virginia, USA; 20th International Conference on Environmental Chemistry, May 17-18, 2018, Paris, France; Societies: National Council for Science and the Environment (NCSE); Environmental Life Force (ELF); West Harlem Environmental Action (WEACT); Environmental and Energy Study Institute (EESI); Environmental Design Research Association (EDRA). Polymer Engineering is a designing that outlines investigation and adjust polymer material. Fundamental divisions of the polymer are thermoplastic, elastomer, and thermoset which outlines regions of use exacerbating and preparing of the polymer are real portrayal of the polymer. It incorporates diverse sorts of polymerization. The unique specialized significance of polymers can be judged by the way that half of the expert natural scientific experts utilized by industry in the United States are occupied with research or improvement identified with polymers. 3rd International Convention on Geochemistry and Environmental Chemistry October 19-20, 2018 Ottawa, Ontario, Canada; 17th International Conference on Industrial Chemistry and Water Treatment May 21-22, 2018 New York, USA; 7th World Convention on Waste Recycling and Reuse May 16-17, 2018 Tokyo, Japan; 5th World Congress on Green Chemistry and Green Engineering July 19-20, 2018 Melbourne, Australia; 9th World Congress on Green Chemistry and Technology September 17-19, 2018 Amsterdam, Netherlands; 20th International Conference on Environmental Chemistry, May 17-18, 2018, Paris, France; 23rd Annual Green Chemistry & Engineering Conference, June 11-13, 2018, Reston, Virginia, USA; 8th IUPAC International Conference on Green Chemistry, September 9-14, 2018, Bangkok, Thailand; Chemistry Conference for Young Scientists, February 21-23, 2018, Belgium, Europe; Green Chemistry - Gordon Research Conference, July 29-August 03, 2018, Castelldefels, Spain, Europe; Societies: National Parks Conservation Association (NPCA); West Harlem Environmental Action (WEACT); Environmental Design Research Association (EDRA); National Council for Science and the Environment (NCSE); Environmental and Energy Study Institute (EESI). 7th World Convention on Waste Recycling and Reuse May 16-17, 2018 Tokyo, Japan; 4th Global Summit on Plant Science & Environmental Biotechnology June 27-28, 2018 Vancouver, Canada; 3rd International Convention on Geochemistry and Environmental Chemistry October 19-20, 2018 Ottawa, Ontario, Canada; 5th World Congress and Expo on Green Energy June 14-16, 2018 London, UK; 8th International Conference on Environmental Chemistry and Engineering September 20-22, 2018 Berlin, Germany; Green Chemistry - Gordon Research Conference, July 29-August 03, 2018, Castelldefels, Spain, Europe; Chemistry Conference for Young Scientists, February 21-23, 2018, Belgium, Europe; 8th IUPAC International Conference on Green Chemistry, September 9-14, 2018, Bangkok, Thailand; 23rd Annual Green Chemistry & Engineering Conference, June 11-13, 2018, Reston, Virginia, USA; 20th International Conference on Environmental Chemistry, May 17-18, 2018, Paris, France; Societies: West Harlem Environmental Action (WEACT); National Council for Science and the Environment (NCSE); Environmental Life Force (ELF); National Parks Conservation Association (NPCA); Environmental Design Research Association (EDRA). Environmental toxicology is the science and practices of the adverse effects mainly of chemicals other man-made agents in the environment. The targeted receptors of these adverse effects may be both the ecosystem and the human. Environmental toxicology includes the study of chemical substances potential and actual contaminants – polluting the air, water, soil and food, their impacts upon the structure and function of ecological systems, including man as well as the use of these results for decision making and environmental management. 4th Global Summit on Plant Science & Environmental Biotechnology June 27-28, 2018 Vancouver, Canada; 3rd International Convention on Geochemistry and Environmental Chemistry October 19-20, 2018 Ottawa, Ontario, Canada; 17th International Conference on Industrial Chemistry and Water Treatment May 21-22, 2018 New York, USA; International Conference on Environmental Microbial Biofilms and Human Microbiomes October 18-19, 2018 Dubai, UAE; 7th World Convention on Waste Recycling and Reuse May 16-17, 2018 Tokyo, Japan; 20th International Conference on Environmental Chemistry, May 17-18, 2018, Paris, France; 23rd Annual Green Chemistry & Engineering Conference, June 11-13, 2018, Reston, Virginia, USA; 8th IUPAC International Conference on Green Chemistry, September 9-14, 2018, Bangkok, Thailand; Chemistry Conference for Young Scientists, February 21-23, 2018, Belgium, Europe; Green Chemistry - Gordon Research Conference, July 29-August 03, 2018, Castelldefels, Spain, Europe; Societies: Environmental Design Research Association (EDRA); National Parks Conservation Association (NPCA); National Council for Science and the Environment (NCSE); Environmental and Energy Study Institute (EESI); West Harlem Environmental Action (WEACT). Recycling is way toward converting waste materials into new materials and objects. Reduce, reuse and recycle, the three R's for waste management, are effective measures that fill in as alternatives to disposing waste in landfills. Recycling is useful for the environment for various reasons, including reducing landfill waste and pollution to recycling and reusing items to preserve assets. By recycling and reusing, the amount of non-biodegradable materials being manufactured is decreased as recycled materials are processed and made into new items. Integrated water analysis tools offer a wide spectrum of valuable information into a single interface. These tools pull and interpret data from different water databases in order to provide more meaningful data. A few of these tools are applications that are geared for the public. 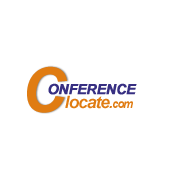 The other tools are for users with a thorough background and technical knowledge. This is the rationale for the Integrated Water Resources Management (IWRM) approach that has now been accepted internationally as the way forward for efficient, equitable and sustainable development and management of the world's limited water resources and for coping with conflicting demands. Environmental chemistry is a multi-disciplinary science involving chemistry, physics, life science, agriculture, medical-science, public health, sanitary engineering etc. In simple terms, it is the science of chemical phenomena in the environment. In broader terms, it is the study of sources, reactions, transport, effect and fate of chemical species in the air, water and soil and the effect of human activities on these. An understanding of basic concepts of environmental chemistry is essential not only for all chemists but also for all non-chemists engaged in environmental science, engineering and management. Environmental chemistry is not a new discipline. Excellent work has been done in this field for the greater part of a century. At present there are many environmental issues, which have grown in size and complexity day by day and are threatening the survival of mankind on earth. There are many issues that need to handled in their chemical perspective viz. One of environmental chemistry’s major challenges is the determination of the nature and quantity of specific pollutants in the environment. Thus, chemical analysis is a vital first step in environmental chemistry research. The difficulty of analyzing for many environmental pollutants can be awesome. The global market for renewable chemicals is expected to grow from $51.7 billion in 2015 to $85.6 billion by 2020, with a compound annual growth rate (CAGR) of 10.6% for the period of 2015-2020. Renewable alcohols dominated the market with about 40.7% of total sales in 2014, but will likely decrease to 39.1% market share by 2020. Raw materials for renewable chemicals production, which ranked second at a 40.6% market share in 2014, is expected to fall to 35.5% during the forecast period (2015-2020) due to the uptake of alternative feedstock used in the production process. Bio-based organic acids, ketones and aldehydes accounted for the third-biggest market share in 2014, at 8.1%, including some well-known and used chemicals. Market share for this segment should increase to 13.9% by the end year.